The dust has settled, and the bulls are back out to pasture after the first Flash Fiction Rodeo at Carrot Ranch. From idea to event, this was no solo endeavor. It took a community to dream, organize, support, promote and engage. 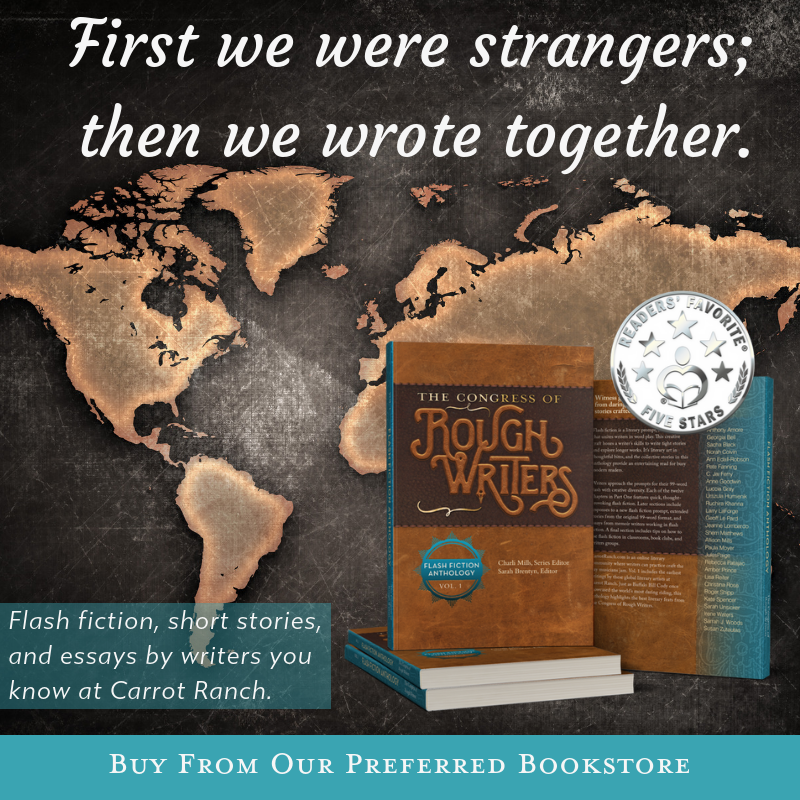 To all of you who wrangle words at the Ranch, to those of you who quietly read from the other side of your screen to all who dared to make this contest their “first rodeo,” thank you! Our Flash Fiction Rodeo consisted of eight unique events that differed in length, prompt and form. Each leader devised their own contest and rules for participation. We worked together as a team to shape the Rodeo, and each leader worked with a partnership of judges. We allowed leaders and judges to enter any contest they were not judging. We also allowed writers to participate as challengers if they did not want to enter as contestants. A toss of hats in the air to the Rodeo Leaders who showed leadership on and behind the page. Not only did they work diligently to make each event fun and fair, they also rode hard to keep pace with an event that spanned three months. Their counsel, creativity, and camaraderie have kept it all rolling at Carrot Ranch. Thank you, Geoff Le Pard, Norah Colvin, JulesPaige, Sherri Matthews, D. Avery, Irene Waters and C. Jai Ferry. You all earned your spurs! 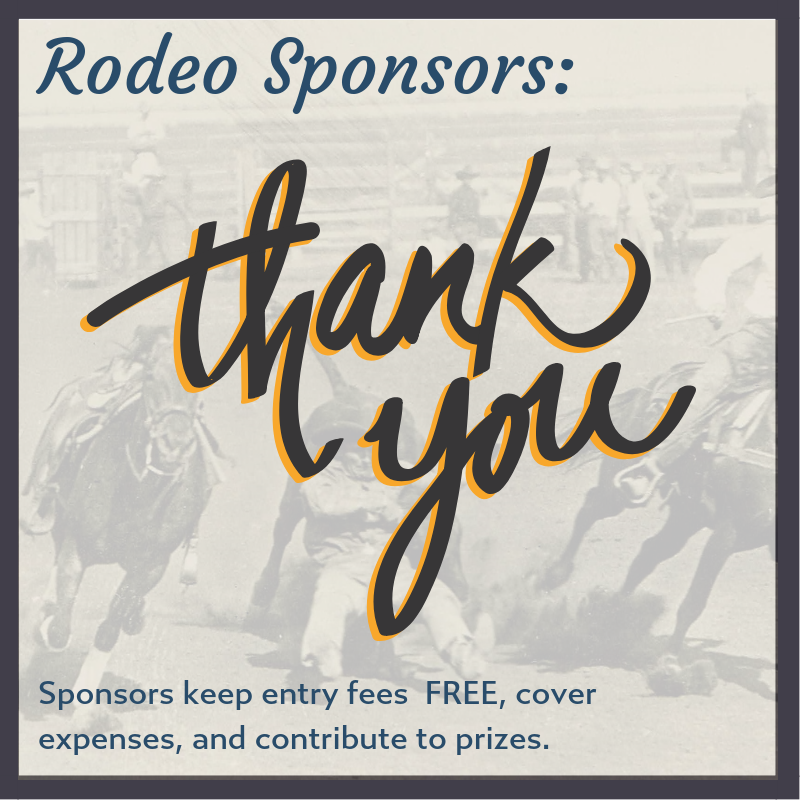 And a huge Rodeo Thank You to all our judges: Robbie Cheadle, Anne Goodwin, Barb Taub, Lucy Brazier, Susan Zutautas, Susan Budig, Angie Oakley, Sharon Bonin-Pratt, Mardra Sikora, Lisa Kovanda, Hugh Roberts, Mike from the UK, two anonymous judges in the US, and Sarah Brentyn. Your tasks were not easy, and I appreciate the regard you gave to all who entered. Thank you to all who rodeoed! Garth Brooks sings an edgy song in tribute to rodeos. He croons, “It’s the ropes and the reins, the joy and the pain, and they call the thing rodeo.” To me, it’s like the calling to write and be read. A literary artist has something in common with rodeo’s biggest hero: tenacity. You write, revise, polish, submit, wait for — all in hopes to win that gold in the buckle. The gold might differ from writer to writer. Maybe you want to publish, maybe you want validation, maybe you just want to give your words wings and let them fly. The Flash Fiction Rodeo honors all the sweat, tears, mud and blood writers put into their craft. All who rode the Rodeo in 2017, you got grit! We hope you’ll stop by the Ranch for some good reading and writing. Keep working your skills, wrangling words and roping stories. Keep on the path you’ve set for yourself. Write on! See ya’ll next Rodeo in October 2018. This was a whopper of a job. Initially, there was a panel of judges. And then there was one. It was supposed to be three and wound up being little ol’ me. But I took up the challenge, happy at heart! Choosing a winner for this final contest was extraordinarily difficult because let’s face it, they were all winners. Literally. They had all won their respective contests. Also, they are different in genre, form, and length. I was comparing apples to oranges to turnips. Alas, this is an ‘overall winner’ contest, and an overall winner there must be. During the past few months, I distanced myself from the contests. I popped in to say ‘Congrats’ then snuck away. Names were removed when I received the final entries. It was delightful to read these. They are well-written, fantastic pieces. Thank you to everyone who entered the Carrot Ranch Rodeo contests and to the winners who gave me wonderful stories to read. 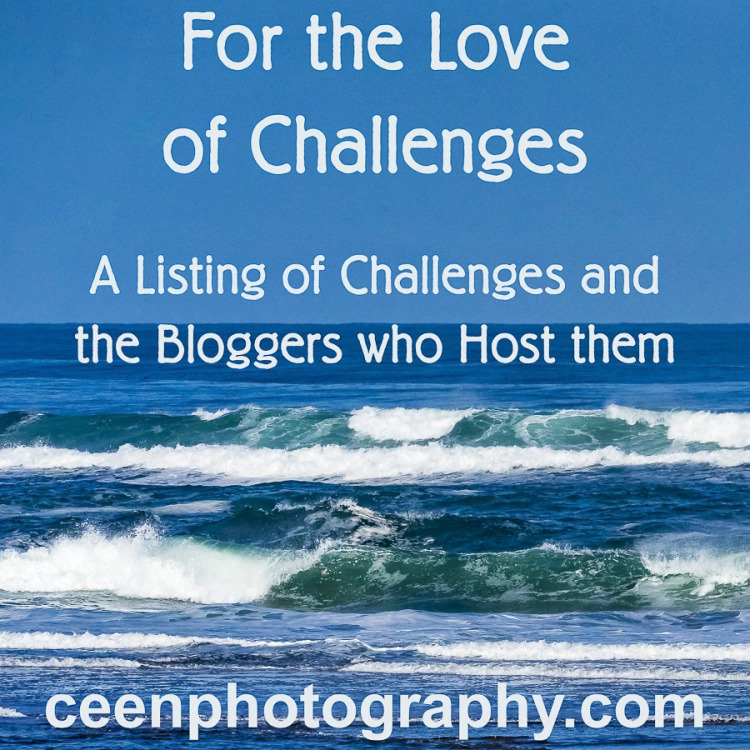 I am honored and humbled to help announce the winner of this collection of contests. That concludes the Flash Fiction Rodeo for 2017. However, that is not the last word. 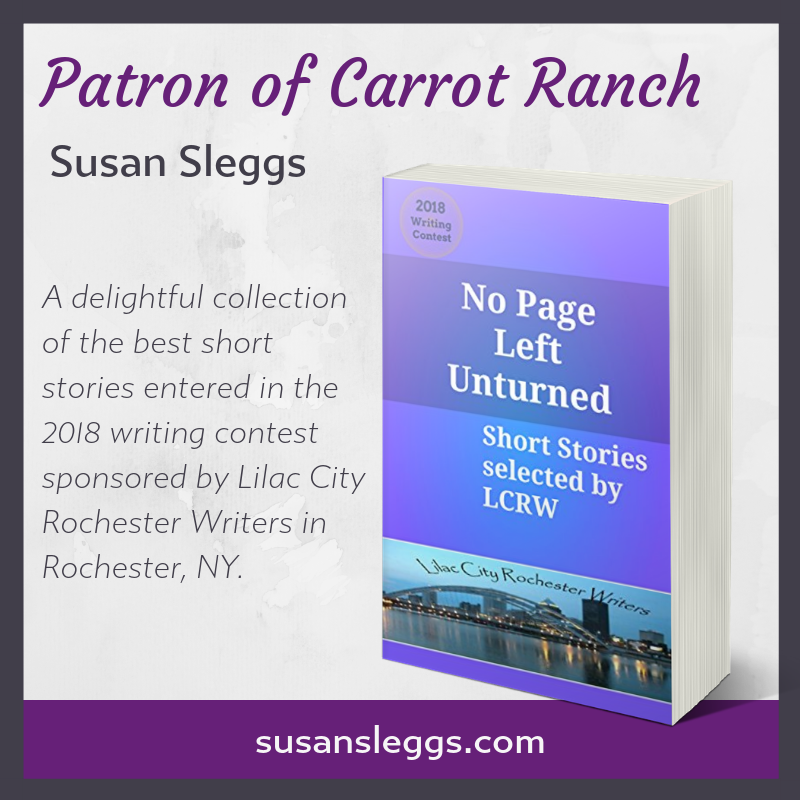 Carrot Ranch is completing an e-book collection that includes the winning entries, honorable mentions, entries, challenges and a few new pieces from our judges and leaders. Stay tuned later this month! 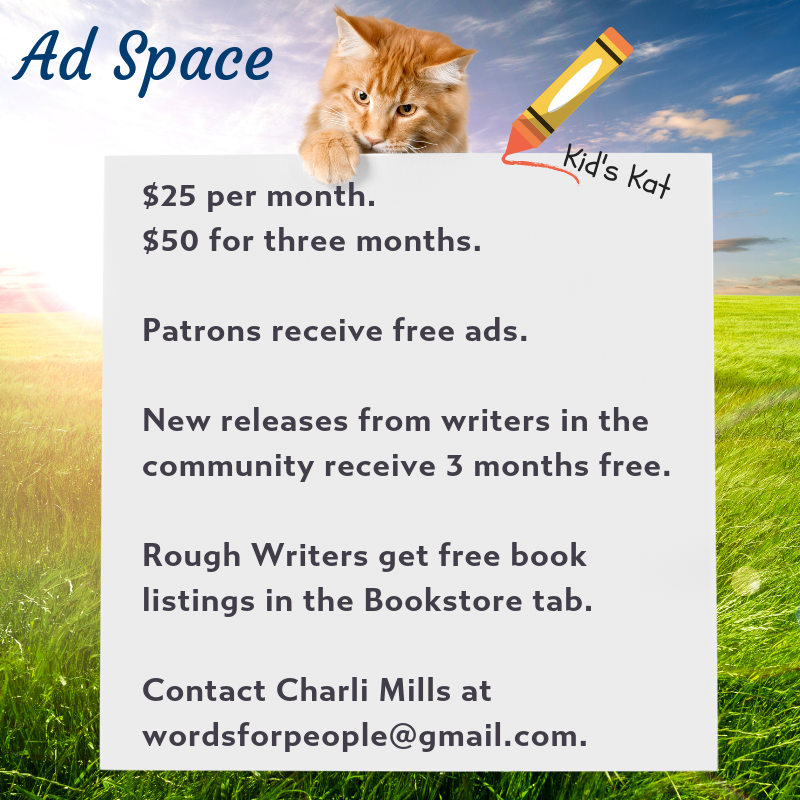 Please give our Rough Writer’s a debut anthology Vol. 1 a look-see. If you’d like to support our efforts as a literary community you can purchase our book online at Amazon. Soon to be available through other locations (officially launches January 19, 2018). By Charli Mills in #FFRODEO on January 2, 2018 . Congratulations to all and to a fine all around ride by D. Wallace Peach. Well done, Sarah, that was also quite a ride you had to saddle up for. Phew. Best rodeo ever! And Charli, you sure have earned a big shiny buckle for all this. You did it! Write on. Congratulations D. Wallace Peach for your story being chosen All Around Best of the Show! That’s quite a feat. There were so many wonderful stories. Thank you to Sarah for judging the finalists, and Charli for hosting the show. What a fantastic first rodeo. Do we really have to wait until October for the next? Better get our writing spurs on and keep practising in the meantime! That’s right – amazing writing – and to be the winner of it all – what a wonderful achievement. Congratulations can’t be said too loud or too often. Thank you for your leadership, Norah! Ha, ha! It’s my extreme sport, too! Congratulations D. Wallace Peach for being the All Around Best of the Show in the inaugural Carrot Ranch #FFRODEO! What a feat! Congratulations D. Wallace Peach for winning the All-Around title at the Carrot Ranch #FFRodeo. A huge thank you for the tremendous efforts by all who stepped up to be judges and those who worked behind the chutes to make it happen. To everyone who entered, kudos to you. This rodeo was a success because of your participation. And last, but not least, thank you Charli for nodding your head and letting the chute gates swing open. 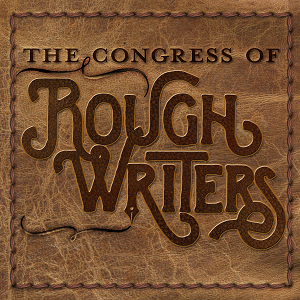 You brought some amazing events and writers together to be showcased in this rodeo arena. Thank you, Ann and for all your support and participation. We learned we could Rodeo, and we’ll all be back on the circuit again. What a fantastic post! Everything to hand at a single click! 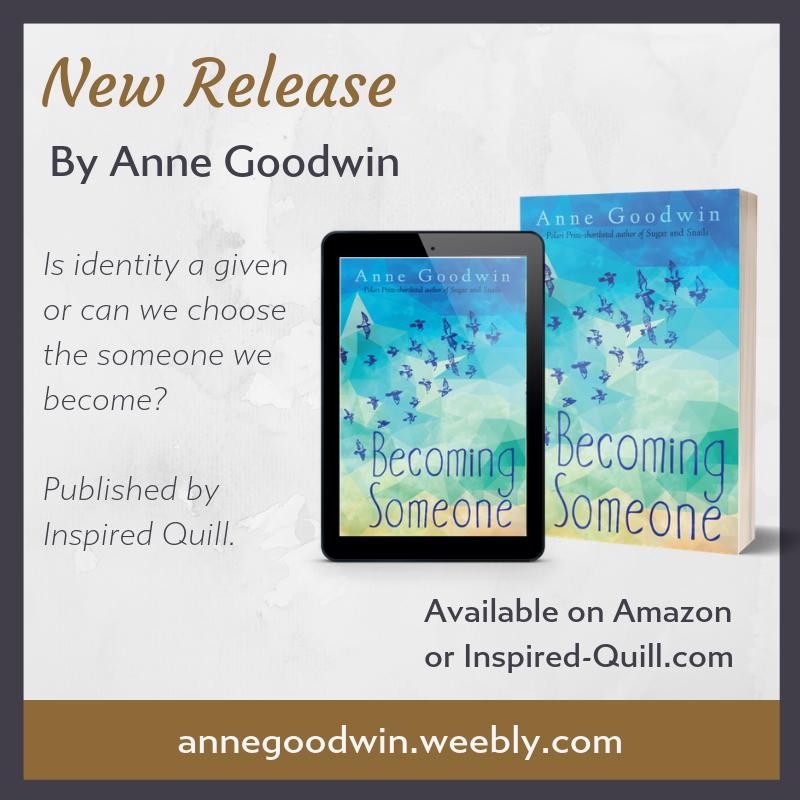 Debut Anthology Vol.1 now on my Kindle, more than a must read, an education too! Congratulation to ‘Best of Show’ D. Wallace Peach; Diana it’s been good to get to know you. And to all here thanks for creating a great place to be and set our words free. All the best for 2018. Eric (the E in EDC). Thanks, Eric. 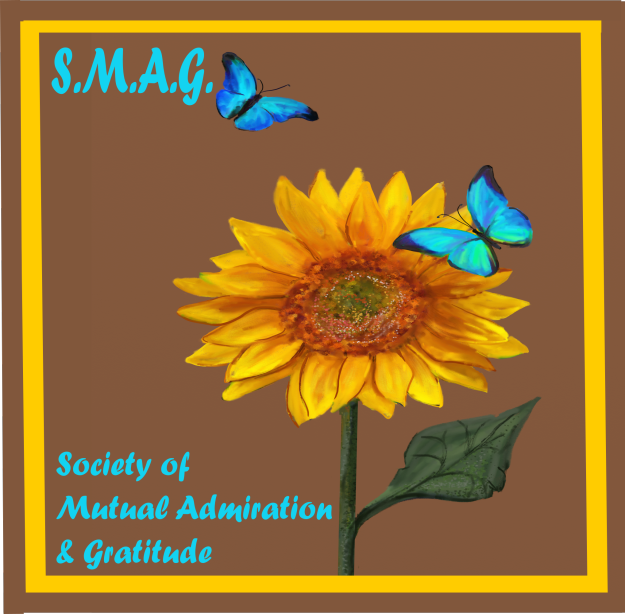 This has been a great ride all around – writing, reading, and meeting other talented writers. Happy New Year! Woohoo! Thank you, Eric! Keep setting those words free! The Rodeo was was a fun contest to enter and i look forward ti the next! Thank you all the organisers and judges for your time and your words of encouragement. Thanks, Ritu! So many wonderful writers gathered and I’m already looking forward to the next. But first — to finish our collection because it’s going to be an amazing read with all the entries! An admirable, challenging, successful endeavor into the world of contest writing. You sustained throughout! Thank you for joining us, Susan and for serving as a judge! A fabulous finale to a rocking rodeo. Sarah, you had a hard job. But I totally agree that Diana’s winning story was wonderful. Thanks, Charli for all the hard work you put into organising this. And to all the other judges too. I’m so happy, I’m doing a dance in my boots to have roped you into flash fiction, Juliet! You write beautiful art. 😄Thank you, Charli. I surprise myself with these weekly flashes. I really didn’t know they were in me. So I will join your dance by doing a wee jig over here in my stripey slippers. Congratulations to Diana Peach for being awarded All Around Best of Show in the #FFRodeo at Charli Mill’s Carrot Ranch Literary Community. Thanks for sharing, Marje, and for the congrats. I couldn’t be more delighted. Happy Writing! Thank you for sharing Marje! How absolutely wonderful! Diana is a fantastic writer and her win is well deserved. Congratulations to everyone who won a round and to all the runner ups and participants too. Looking forward to next year’s challenge, Charli. Thank you for your participation and judging, Robbie! I’m looking forward to next year, too! Congratulations to Diana. Your “Galatea” was truly a superb work of transformation and survival…and stunning beauty! So happy and grateful to have wandered onto the Ranch…cool, clear water, encouragement and fresh inspiration are what this community’s all about! Thanks so much, Charli, for the fantastic competition. I’m grateful for all the hard work you and the rodeo leaders put into pulling this together, and thanks to the judges for the difficult choices – a task I don’t envy. I’ve said it before and will say it again, that this entire thing was loads of fun, and the best-of-show win is a thrill. I’m looking forward to next year already. Happy New Year and Happy Writing to all rodeo writers! Thank you, Diana! Your story makes a beautiful Best of Show, and all the writing together is going to make a beautiful collection. Happy Writing! Congratulations to all the winners – and entrants – and to Sarah for choosing an excellent creme de la crème. and of course Charli for putting it all together. Thanks, Anne! It turned out to be a fine Rodeo. And thank you for judging! Congratulations, Diana on your well-deserved win. I was awestruck at some of these fabulous entries. I actually had a go at this Rodeo myself and stretched myself more than I thought possible. The judges must have had such a hard job choosing the winners due to the high standard of the entries. It was difficult to judge and yet I think it was also good for writers to get to experience the judging process because you learn much from the perspective. And all the writing was marvelous. We are going to have a fine collection. Congratulations Diana. As you know we thought you were worthy of Winning the Scars competition and are thrilled that you have been selected as All Round Best of Show. Congratulations to all that entered. As a judge I know it was challenging with many great entries. Sarah I don’t envy you having to pick between the best of each competition to come up with an all round best of show but I love your choice. Charli thanks for the concept. It has been a lot of fun. Now hanging up my spurs until next October but practice will continue. Keep those spurs handy, Irene! Thanks for your leadership. It has been fun and I look forward to next October! It has been fun and am looking forward to the next one. Already thinking of the direction I will go this time. Congratulations Diana on All Round Best of Show with your wonderful story Galatea. Thanks, Debbie! It’s thrilling to watch the Rodeo unfold! Thank you, Sherri. It certainly made my week! And I’m looking forward to next year. Happy Writing! Thank you so much for your leadership, Sherri! You are natural in the saddle and I look forward to next Rodeo! Thanks, Sarah! You did a wonderful job riding solo and picking the Best of Show. Thanks to all who wrote, read and bled ink into stories at Carrot Ranch. Until next Rodeo, keep your hats on and write off into the sunset!